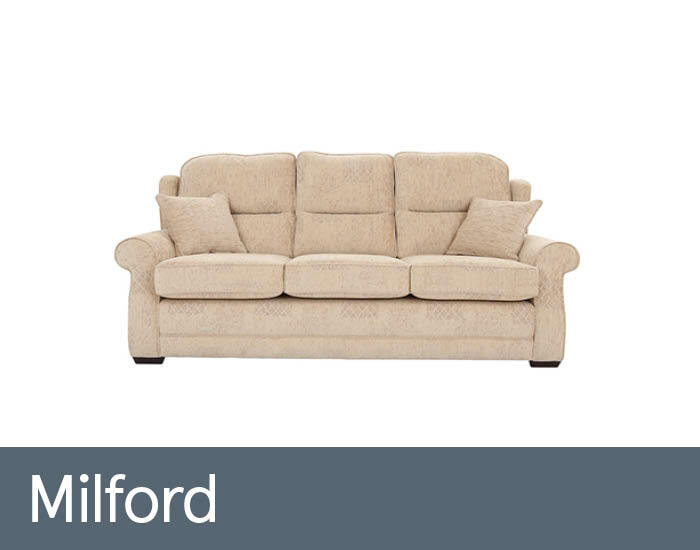 Milford is a neat, traditional design with a contemporary styling and supreme comfort appeal. As part of our exclusive Bespoke Collection, every piece is expertly hand crafted in our workshop to very high standards, using only the very best quality materials. Its understated, scroll arm and subtle wing detail are precisely tailored with a neat piped detail to give a contemporary twist. Because each item is individually handmade on a bench, you’re able to specify your own dimensions, comfort level and even configure your own dream design! Please call us on 0845 901 4000 or visit your nearest Cousins store for more details.